As much as I don't want to start the year with a negative post but everyone has to be warned. I am letting a few days pass so I will be emotionally partial when I write about my bad experience with Ocean Jet and to allow everyone to enjoy at least the first few days of the New Year with no sad notes. But here we go. 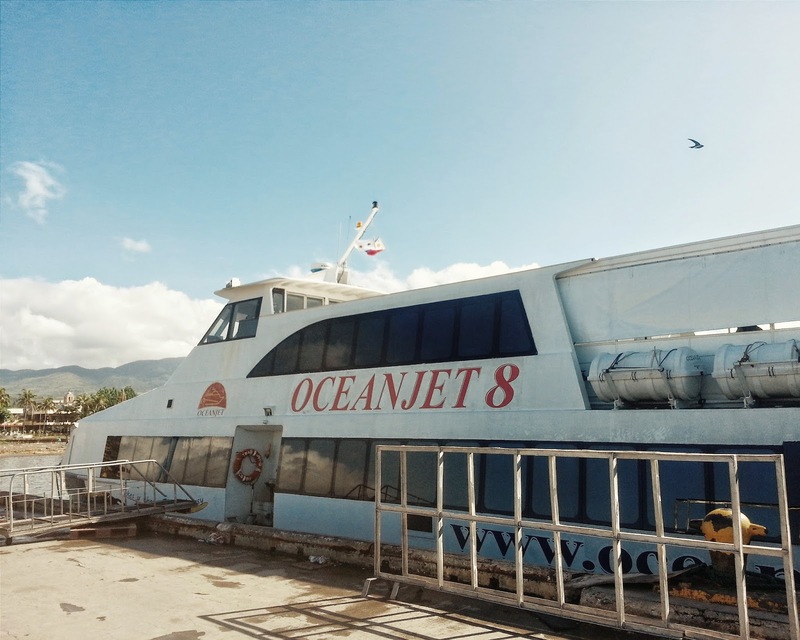 Ocean Jet is a sea liner operating in strategic cities in the Visayas area. They are present in 10 cities and towns in 9 provinces namely, Cebu City in Cebu, Bacolod City in Negros Occidental, Dumaguete City in Negros Oriental, Iloilo City in Iloilo, Cagayan de Oro City in Misamis Oriental, Benoni in Zamboanga del Norte, Tagbilaran City and Jagna in Bohol, Siquijor and Ormoc City in Leyte. Locals commonly refer to Ocean Jet and their competitors as "fast craft" for they cut the usual travel times. 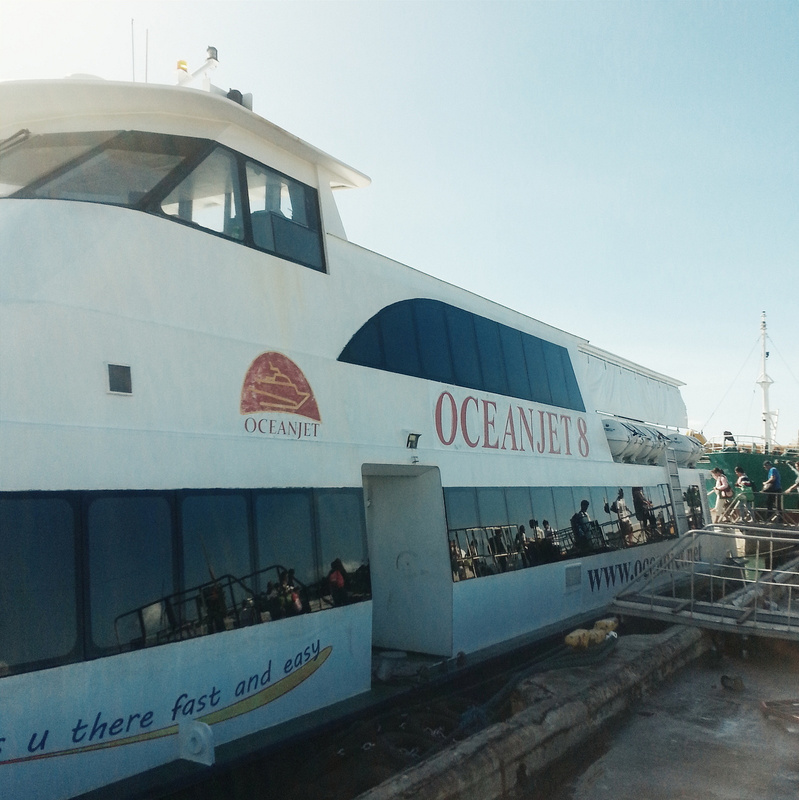 In my case, travelling from Cebu to Ormoc usually takes 5 hours via "slow boat" or the regular huge passenger ships. Ocean Jet can do it for half the time. 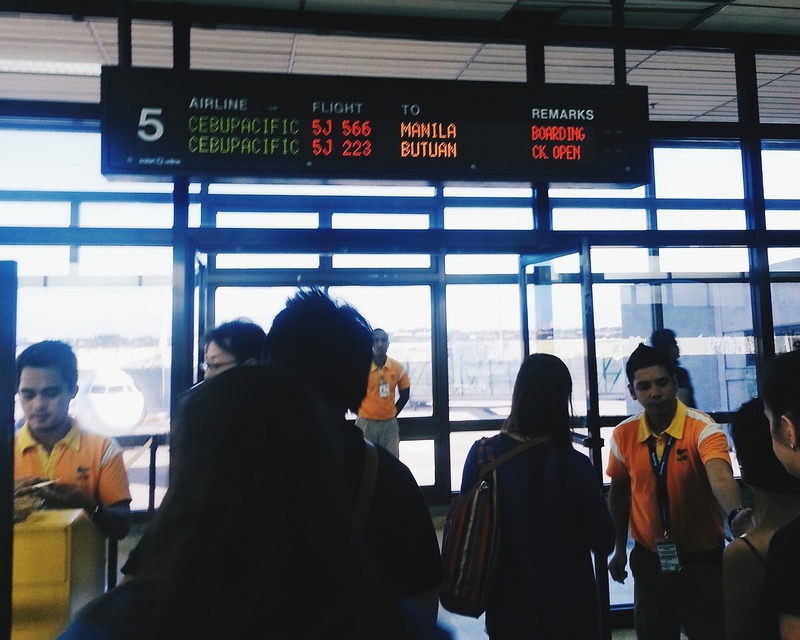 But this was not the case when I left Cebu to spend the New Year's with my family in Ormoc. After my trip was cancelled for two days because of Tropical Depression "Seniang", the coast guard finally allowed passenger ships to cross Camotes Sea in the morning of December 31. I was very eager to go home. I wasted 2 days stranded in Cebu because of bad weather. I could have spent more time playing with my nieces. My trip was scheduled at 6:30 AM. I was already inside Terminal 1 of Cebu Pier by 5:30 AM. I lined up to get my seat number. The line was moving slow. 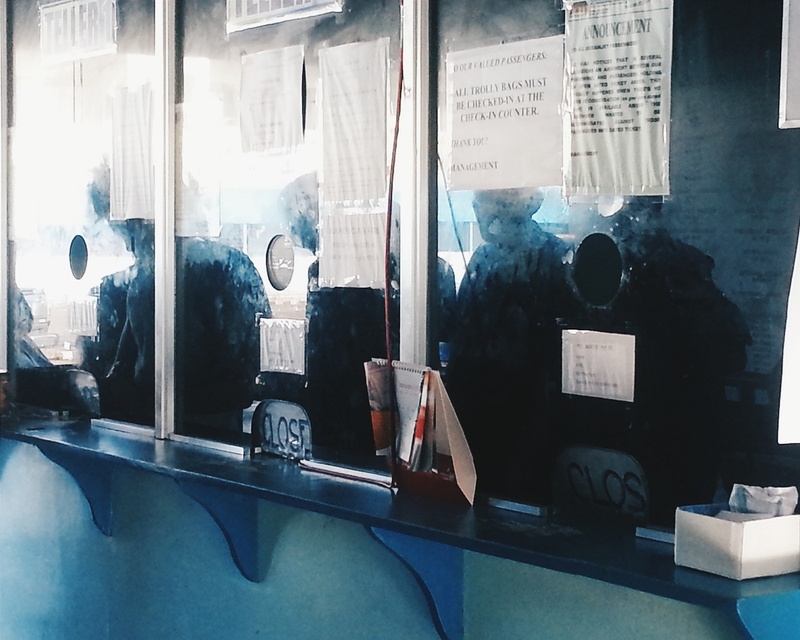 There was only one counter opened for around 70- 80 passengers and it was already 6:20 AM. This slow process caused the delay. Everyone was inside the vessel only at 10 minutes past 7:00 AM. I kept my cool. It was expected. We sailed 10 minutes away from the port only to stop for also 10 minutes in the middle of the sea with no assurance of safety from our captain. There was no formal announcement of engine failure or whatsoever. The ship finally started moving at 7:15 AM. I tried to sleep and forget that we were 45 minutes late in one of my most important trips. But after moving from the port for 10 minutes, the vessel stopped. We did not hear any announcement. 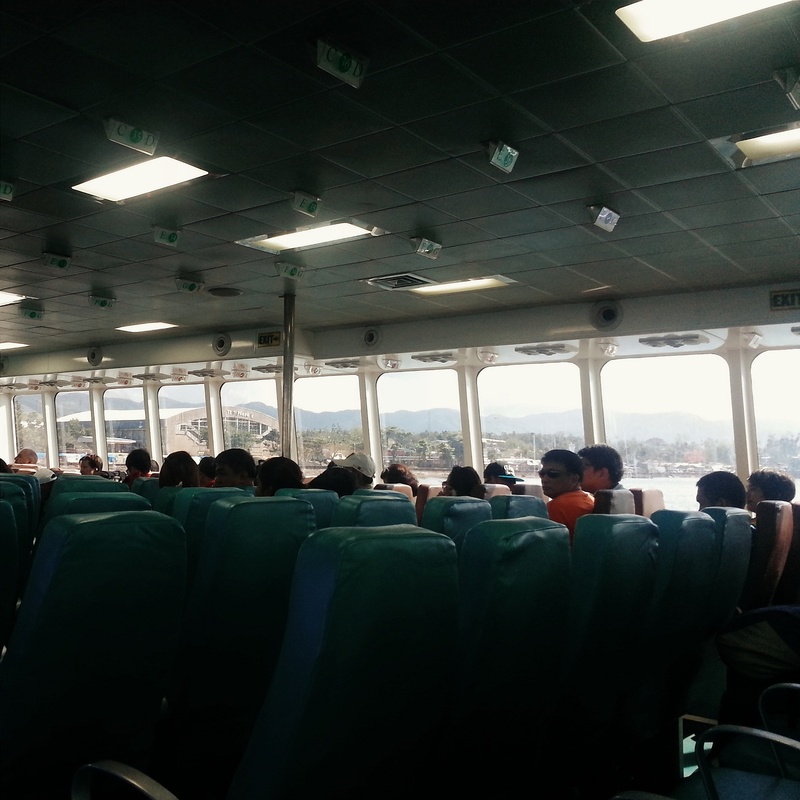 The passengers thought that we were just allowing other ships to cross the narrow Cebu Straight first. Another 10 minutes passed and still there was no announcement. Trying hard to stay calm, I heard my seatmates talking to some Ocean Jet personnel. They were asking why some of the luggage from our vessel are being transferred to another jet. When I looked at the other side, I saw another ship parked very close to us. "Engine trouble daw. Kinahanglanon 'ta mubalhin ug lain sakyanan (There is engine trouble. We need to transfer to another ship)," I heard one passenger. How can the captain stayed mum even up to this point. We are in the middle of the sea for crying out loud! By 7:40 AM, we started moving back to the port. I didn't mind if we were delayed for more than an hour. It was just nice to see land after hearing that our ship had some engine issues. I expected that we will be asked to disembark and transfer to another jet. But we were asked to stay on our seats. After 20 minutes, we started moving away from the pier again. At 8:00 AM, the announcement said: "We can now proceed with our trip to Ormoc City." Woah! Just like that. No apologies and more importantly, there was no assurance if the jet is still safe to travel. 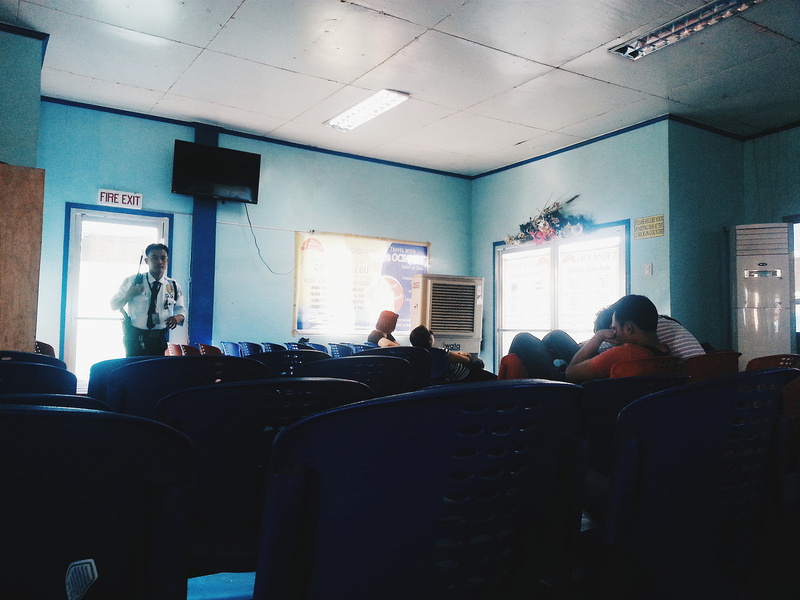 Thankfully, we arrived safe in Ormoc three hours and fifteen minutes later. The travel time was supposedly 2 hours and 30 minutes but we must have traveled at a slower speed for safety. Instead of 9 AM, we arrived at 11:15 AM. But I decided to put that all behind me. It was a few hours to the New Year. But Ocean Jet had one more setback to ruin the last few days of my holiday. I was scheduled to go back to Cebu at 7:30 AM the next day, January 1. I have to be in Cebu by 12 noon the latest for my 2:20 PM flight to Manila. 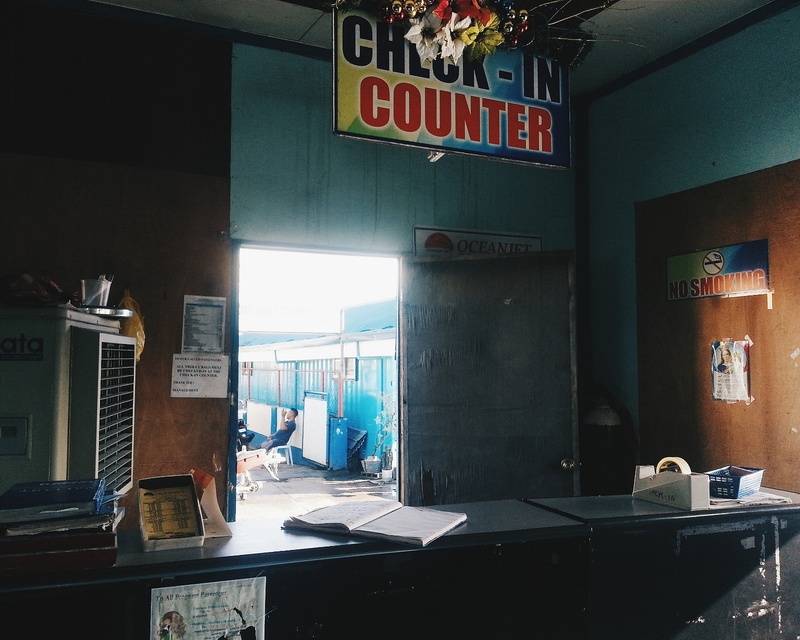 When I arrived at the Ormoc port at 7:15 AM, the Ocean Jet office was still closed. I was informed by other passengers that the 7:30 AM trip was cancelled. The other jet companies, Supercat and Weesam Express, have no scheduled trips that day. This is no longer acceptable. We are scheduled to leave by 7:30 but this is the scenario at the Ocean Jet terminal at 8:00 AM. Where is everyone? Check-in counters are still closed! I booked my two Ocean Jet trips in December 29. When you purchase your travel vouchers, they will be asking for your mobile phone number and email address. They could've informed their passengers about the cancellation at least a day in advance. But there was no announcement whatsoever. There was no update even on their Facebook page. I was told that our tickets will be valid for the 10:00 AM trip. This won't do. Taking the 10:00 AM trip will mean that I will be in Cebu by 12:30 noon the earliest. It takes another 1 hour to travel from the Cebu port to Mactan airport. I still need to check-in and counters close 30 minutes before the flight. My trip is scheduled at 2:20 PM. It's gonna be close to impossible, I thought. I told the management about my situation when their office finally opened at 8:30 AM. They agreed to get me a later flight. 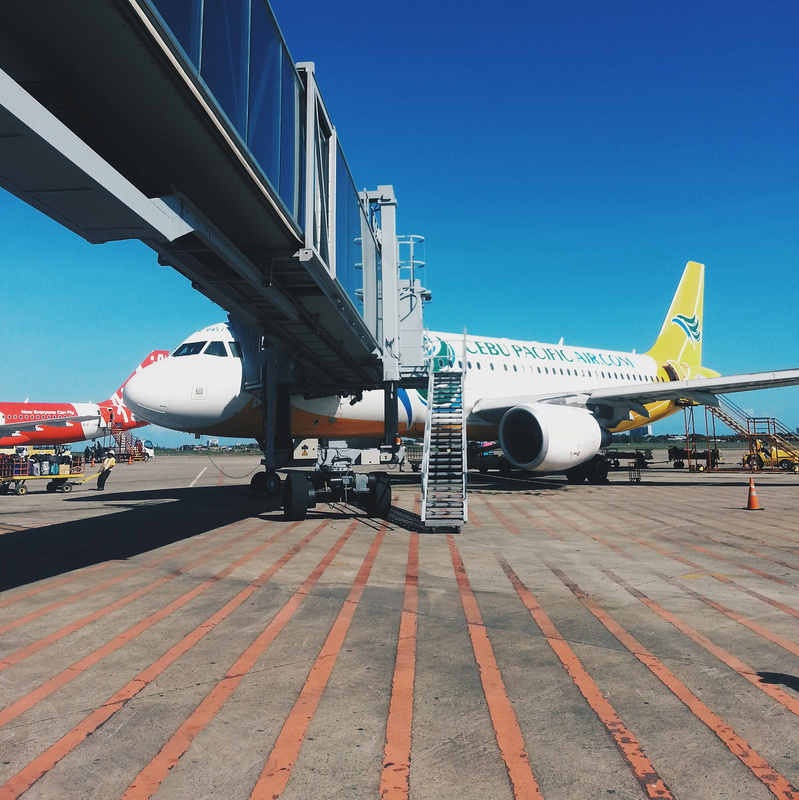 They got a 3:40 PM Cebu Pacific flight to Manila which I OK'd. 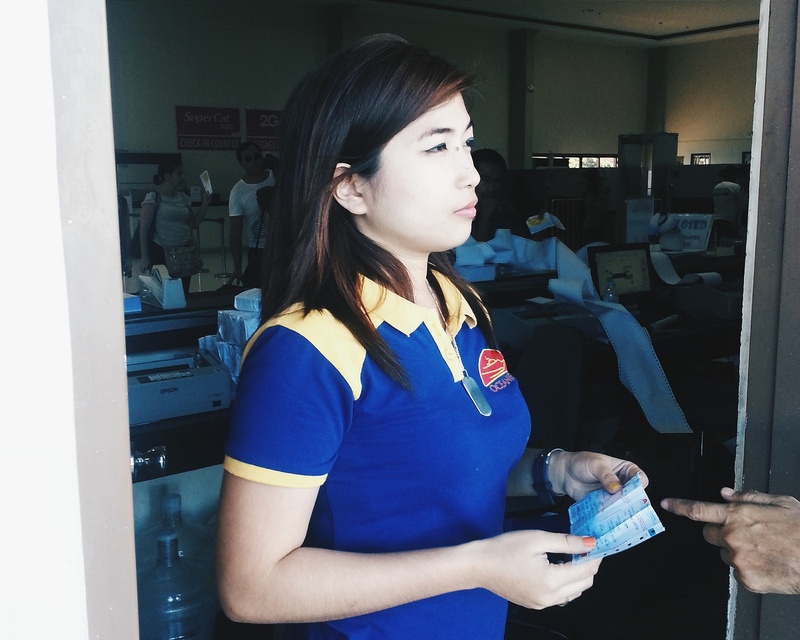 Their office manager, who introduced herself as Chuchu, was very accommodating. Another guy, Erik, was also efficient in assisting me. But a few minutes later, their boss called. He told Erik that they will just arrange for a sort of an express ride that will take me to Mactan airport faster. I was apprehensive at first but Erik gave me an assurance that the 10:00 AM trip will leave on time and that we will travel faster so we'll reach Cebu at exactly 12:30 noon. We were also hoping that roads from the pier to Mactan airport will not be congested since it's a holiday and that their service will try to take me to the airport in less than 20 minutes. I felt that there was really no choice. So, I agreed to their plan. True to what they promised, our jet left Ormoc at exactly 10:00 AM. We reached Cebu City by 12:45 noon. I stood and went out of the vessel first. 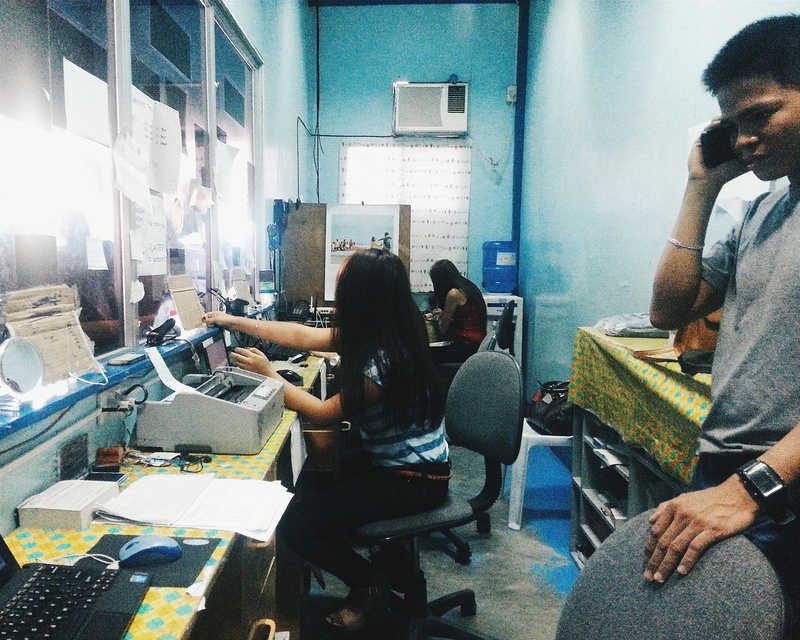 I expected someone from their Cebu office to usher me to where the promised "express ride" is but there was no one. I have to explain my situation and what happened to three personnel before I was led to their check-in counter. A girl, whose name I was not able to ask (but I took a picture of her- see below), asked me to sign a voucher. It was for a PhP200 cash advance to pay for my taxi to the airport. Where is the "express" ride?! The situation inside the Ocean Jet ticketing office when they finally opened at 8:30 AM, an hour after my original scheduled trip. Just a few minutes left before my flight and I am still at the port area dealing with this girl from Ocean Jet who was not really helpful at all! Trying my best not to be mixed up with the passengers leaving for Butuan. Boarding the wrong plane would be a nightmare. I lost it. I can afford to pay for my cab but what I can't afford is to bargain for more time. I became more vocal about my complaints but the girl remained seated, disregarding my situation's requirement of urgency. It was already 1:20 PM and we still need to fall in line outside the terminal to get a cab. 1:40 PM and I got a taxi. Forty minutes left before my flight and we're still at the port area. This is one of the rare moments that I am wishing for yet another delayed flight from Cebu Pacific. We reached the airport at exactly 2:00 PM. I was so thankful for my cab driver's raceway performance. 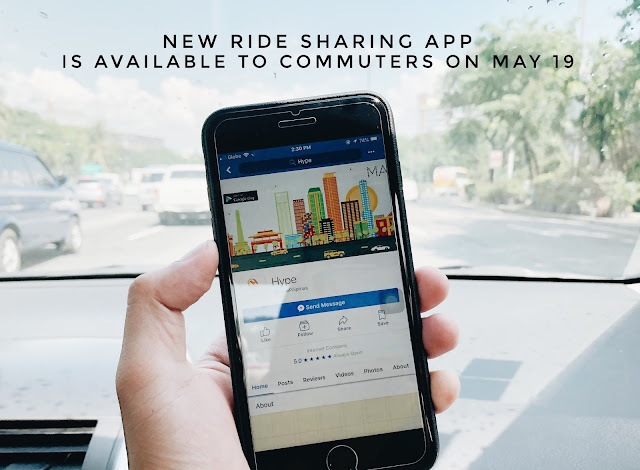 If you are acquainted with the worsening Cebu City traffic, you know why. I made it through all the airport's security checks but not through our check-in counter. Check-in for Flight 5J 566 was already closed. So I have to beg to the passengers who were in line for another Manila flight to let me get my airline seat first. That moment, I am hearing the announcement for the last call for boarding. That Cebu Pacific flight could have took off at exactly 2:20 PM. I learned from my seatmate that boarding began at 1:30 PM. But I entered the plane only an hour later. Everyone was already settled. Imagine the humiliation. I am posting this to try to encourage ships, sea jets, airlines and even buses to be sensitive to their passengers' needs. They can start by being strict to the schedules that they themselves set. Sure, there will always be untoward situations but a little reaching out will help. And some honesty too.